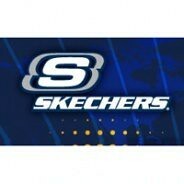 Sneaky Skechers Cancels Orders Without Notice! Sure a mistake on a normally $88 boots was made, but it was made by them and they should stand by it since they run the risk of losing more customers and damaging their reputation for reliability and confidence. And the sneaky way they have gone about reneging on the deal without any notification to the customer’s email account indicates how bad this decision was and is to their public relations. MarkdownMom Says: Now you can Look At Who’s Not Wearing Skechers!